Photographed at the W&P show 2010.
the dumper truck is not designated M35, and has a shorter wheelbase. Added by Roger Greenaway on 24 January 2013. My 1981 edition of Janes Pocket Book of Modern Military Trucks lists the dump truck designation as an M59, with single rear wheels it's an M47. 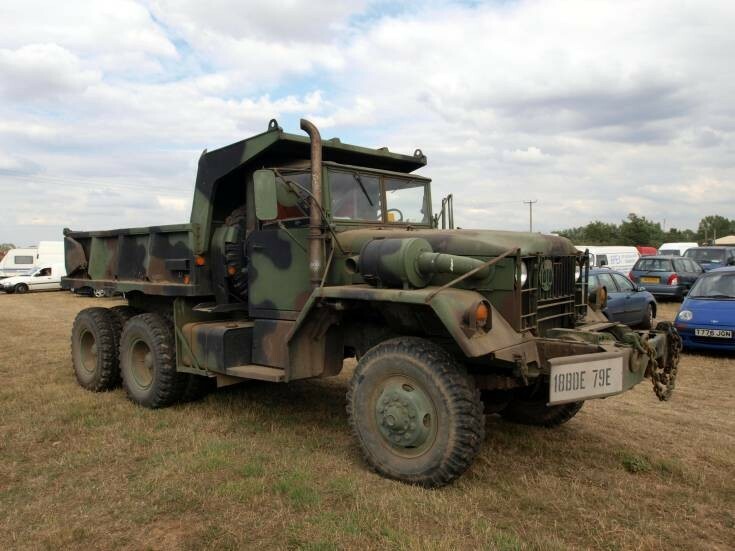 There is also a M342A2 Dump truck listed on the same page, very confusing for all but the most avid enthusiast of this range of US military vehicles. The M35 series was designed by the REO Motor Car Company in 1949 and entered production in 1950 and was made by at least 2 companies up to the late 1990's, it is probably the most prolific military truck in the Western world. Hope you find these comments informative. Added by Stephen Prosser on 15 November 2013.